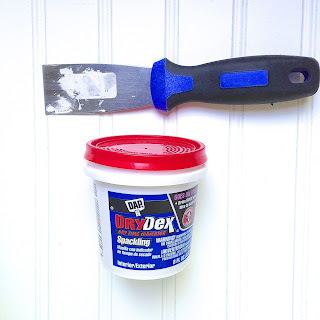 Tools and Tips for Easier DIY Painting! Have a room you are looking to update with a fresh coat of paint but hate the thought of spending the time and money to have it done? Welcome back to Monday Motivation! When I decided a few weeks ago to paint, I starting mentally going through a checklist in my head of the things I would need to quickly paint the side entry to our home. When I was painting a light bulb moment happened. I started to take note of what I was using and what I thought would be most useful to others to make their paining experience more enjoyable. 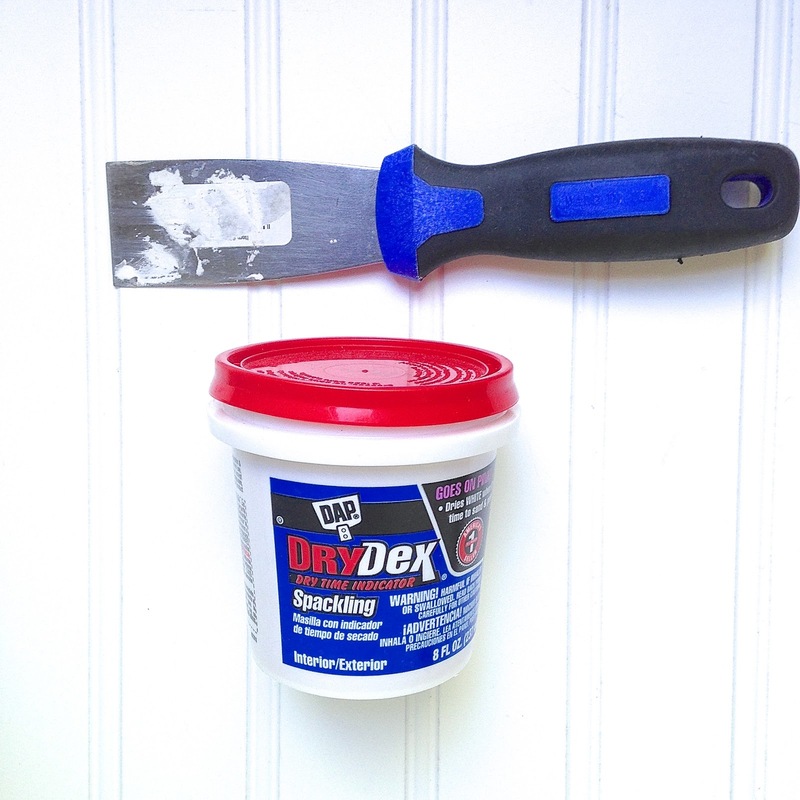 These are my tools and tips for easier DIY painting. The first time I painted was in our starter home in La Mesa, California in 1995. It was a wonderful 1206 sqft home that had stunning oak hardwood floors ( under the carpet and tiles that were GLUED to the hardwood). Everything had to be painted both inside and out. Luckily my father in law was a General Contractor and was on hand to give guidance in How To with many things. There was no internet to search for how to do these things so with some guidance and a lot of elbow grease I became a painter. The rooms in the starter home were painted at least two times each. We went on to buy two other houses, one other in California and now the one we currently live in Virginia. I have put thousands of hours into painting. Painting has become a Zen activity for me. I even painted a room two days after giving birth to the last of the four children. To say I love painting rooms may be an understatement. The side entry of our home painted a beautiful white. See how useful the mat is in this space. Before you ever start painting, you will hear a million times, it is all in the prep work. This is very true but the key is to know how to do prep work in a way that will not waste your time and money. One very important thing to know is that the walls and trim you will painting is clean. Paint does not not adhere to grease and dirt. Also, If you paint over dust bunnies, they can go into your paint tray and they you will be saying so many adult words as you are trying to pic the fuzz off the wall you are painting. NOT FUN at all! Here is my list of must have tools and how I use them for fast and fabulous painting every time! This is one of the more frustrating parts of prep work for me. To repair holes and then not know when they are dry. Dry Dex goes on pink and turns white when it is dry. I will never use anything else! I have tried the plastic putty knives and honestly cannot stand them. They do not make the surface as smooth as a metal one can. These are easy to clean with a damp cloth and wipe dry. I have had the same one for at least 10 years. Flannel fabric, the cheap kind you buy at Joann's on sale is one of the best things to have on hand for many things including painting. Buy a yard when it is on sale or when you have a coupon. Cut the fabric into manageable squares about 8x8 is what works best for me. 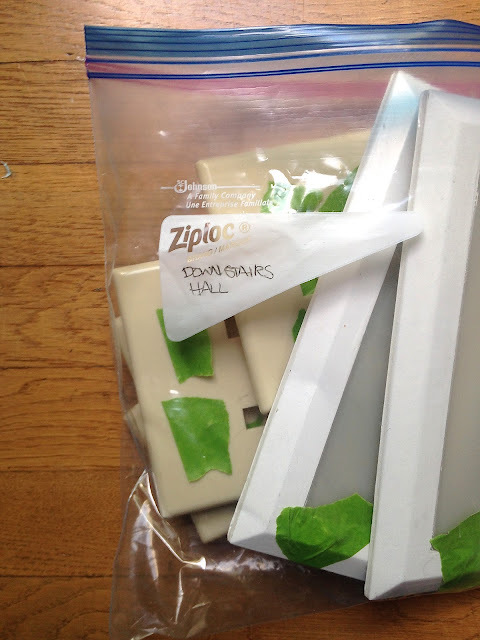 These squares can be used for a few different things including cleaning the dust off the walls and trim prior to painting. Wet flannel squares are amazing for the occasional drip of paint when you have an oopsie. It happens and the best way to attack this is with an immediate swipe with a wet cloth. Keep a couple of damp cloths at your side constantly. 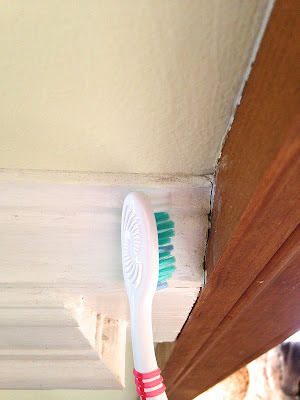 For hard to reach or super tight or ornate wood work, soft toothbrushes are the number one best way to make sure your surface is clean and ready for paint! This combo with be priceless when it comes time to take off outlet covers and switch plates! With your sharpie, write the room name where you will be painting on the gallon sized Ziploc bag. The bags are a wonderful way to keep track of all of the switch plates and covers. There is nothing more frustrating than working in more than one room ( waiting for one to dry and starting on another) and you misplace a plate or some screws by taking them off and leaving them scattered. 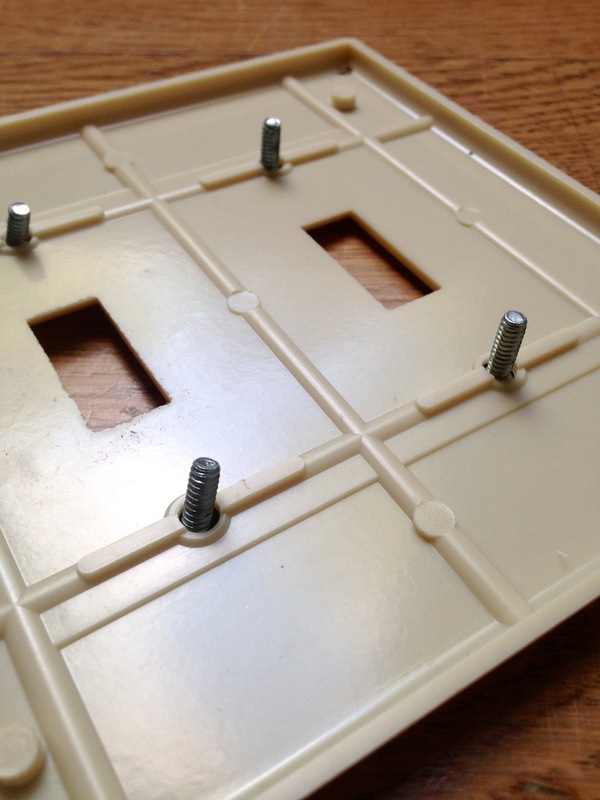 Not all plates and covers have the same type screw. 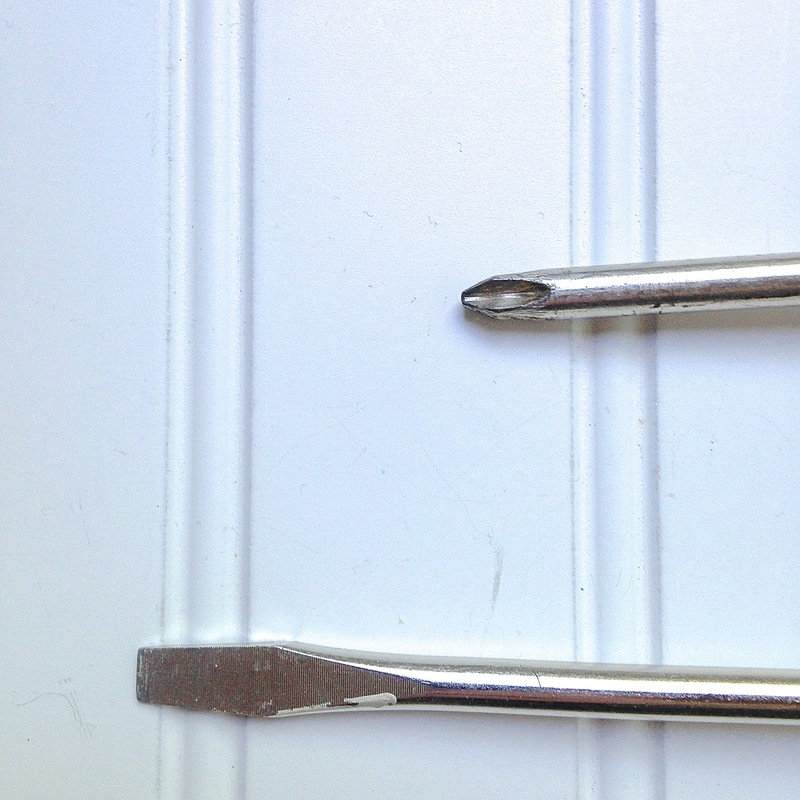 Go ahead and have both types of screwdrivers ready to go, so you will not waste time looking for one when you need it! The painters tape is brilliant for saving the screws. After you unscrew the screws and take the plate off, put the screws back into the holes and put a small piece of painters tape over the screw. It will not be lost if it is taped in place. The gallon sized Ziploc bags are also amazing to use when you have a wet brush and have to stop to run an errand ( like picking the kids up from school). Instead of washing out the brush, place it in the ziploc bag, removing as much air as possible and this will keep the brush wet for up to 24 hours. I have not tried it for any longer. 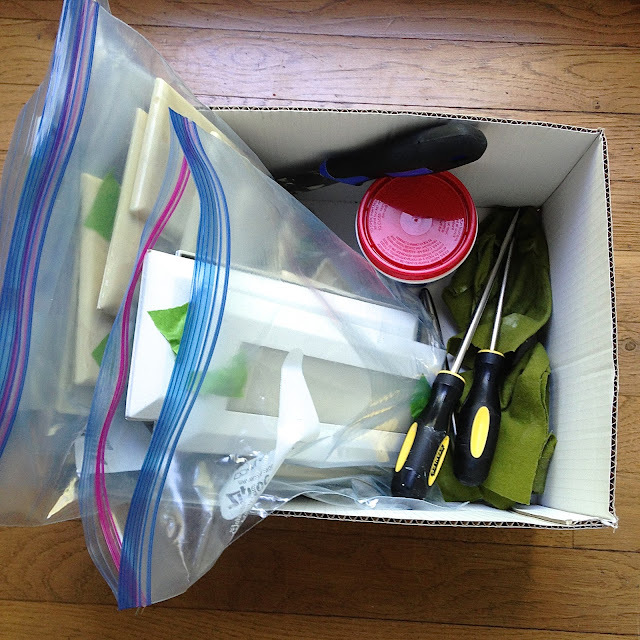 An empty box is a great way to keep track of all of your stuff while you are painting. 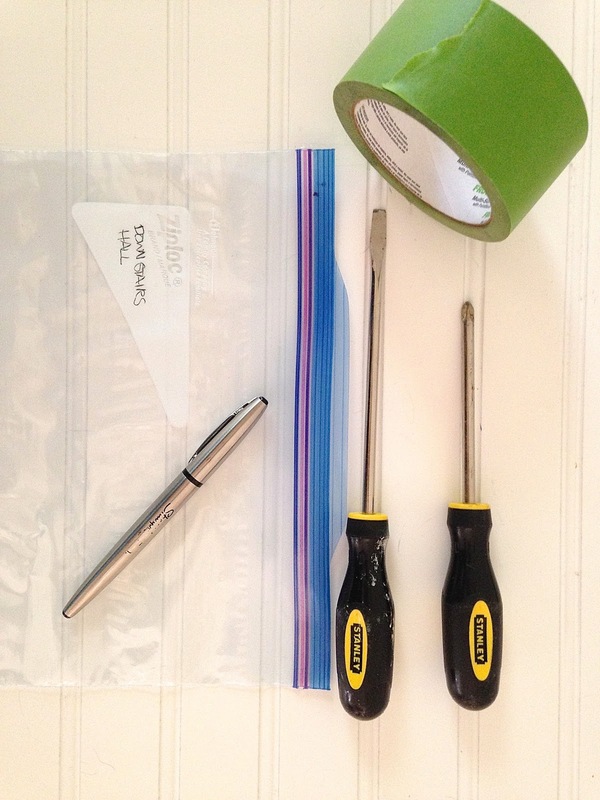 put your screwdrivers, painters tape, ziploc bags with your outlet and light switch covers and any other thing you need for easy transport. I am always very happy that I have everything in one place to save time when I need to find things quickly! I picked mine up for free at Costco when I did my shopping. For the same reason as the Ziploc bag. This one is for storing your roller and pan while you then have to take the kids to Tennis practice. Place the whole lot in the bag and then twist the end and fold it under the pan. Make sure to store this in a place that it will not be stepped in or knocked over. This will also keep for up to 24 hours but I cannot recommend any length of time beyond 24 hours. 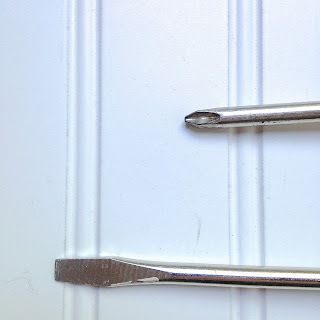 If you are unfamiliar with tools, the top one is the Phillips head and the bottom is the slotted or straight. I have had these two for years and they have never let me down. 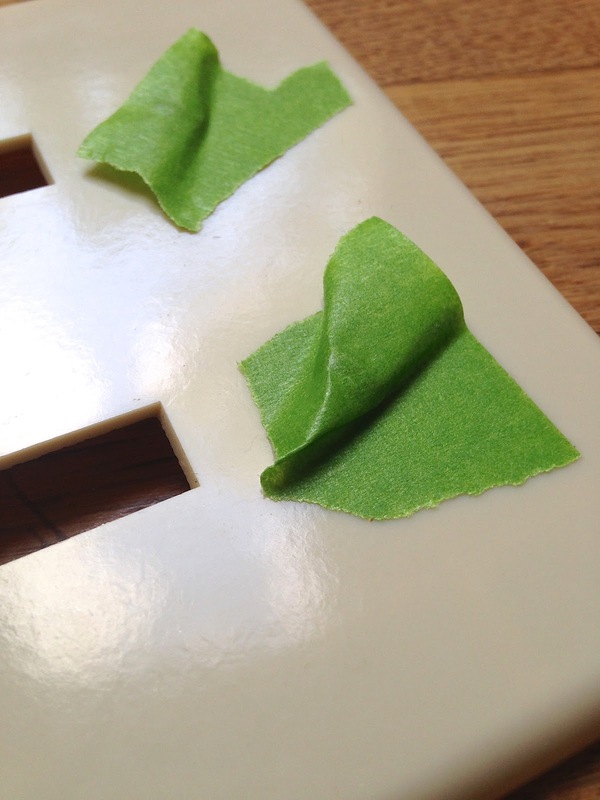 You will need these to remove your light switch plates and outlet covers. They are not always the same so make sure to have both on hand to be ready and not wasting time searching for a screwdriver. 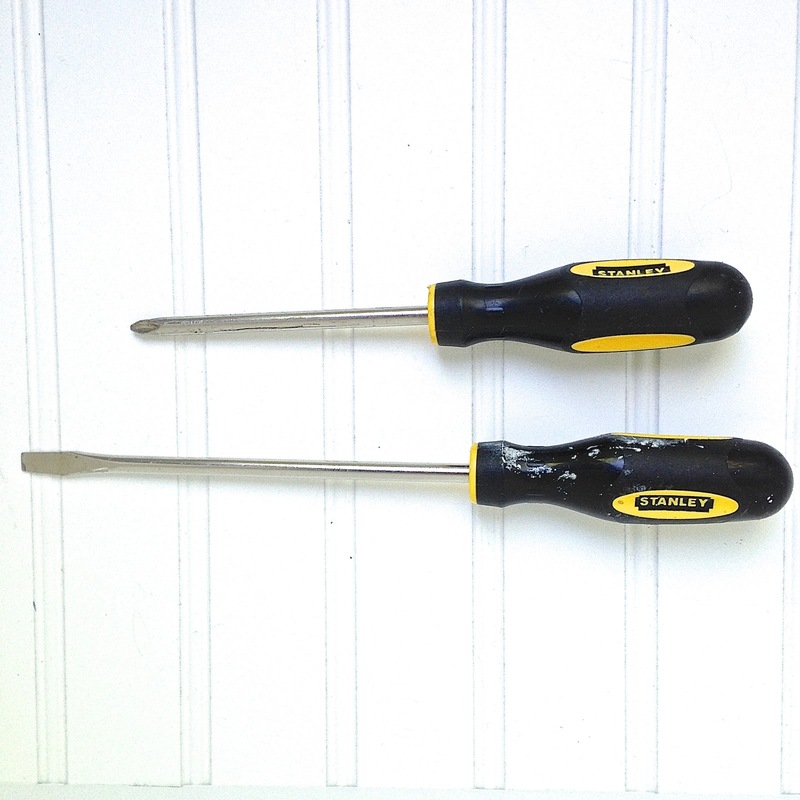 If you do not have these screwdrivers, you can buy inexpensive ones at your local home improvement store. These are a must have for many home improvement projects or DIY. 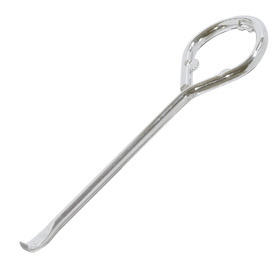 This is one of my newly discovered favorite tools! An inexpensive non skid mat is the perfect way to keep your floors safe and your paint still! I have one that is not fuzzy but more of a berber. It is easy to move and if the paint were to spill, it would not seep through and ruin my flooring. I have used many different sizes and styles of brushes and this one feels the best to use and makes cutting in and trim painting without have to tape first ( MAJOR timesaver) a breeze. I have always bought the best brushes I can afford. Super cheap brushes are usually not the best quality and will not hold the paint as well, will not have nice bristles making your paint job messier and the bristles will more likely fall out and end up in your paint job. The last is the worst since you then have to take your fingers and try to pull the bristles off the wall. If a fuzzy or a bristle happen to get into your beautiful painting, the easiest way to get it is to take one finger and swipe it with a good amount of pressure. Do it as soon as you see it. If you do not, it can dry into the paint and then you have to pry it out and sand and re paint. Have one of your damp flannel cloths ready to wipe your painted finger. When you buy quality brushes, make sure to clean them properly after use, air dry them and store them in their original cover for years of use. Purdy was the favorite of my father-in-law with good reason. I still have some of his Purdy paint brushes from over 20 years ago! 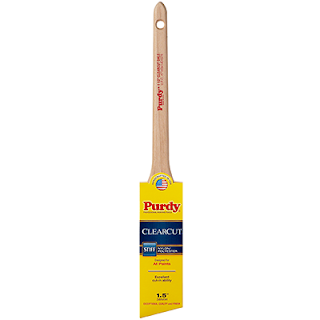 If I cannot find Purdy, I will pick up a Wooster Brush. I have had very good results with these brushes as well. Same with the brushes, after trying many styles, I have settled on this size and style. It fits perfectly into my hand, is not too big or heavy. This roller holds a good amount of paint for the size. It does not spray or drip unless it is overloaded. The not spraying feature is the most important to me. I do not usually use drop cloths. I do not like them because they collect bramble, they are not 100% safe especially when using ladders and they are so cumbersome. I only use them if I have to or if I am on carpet that I love. The Whizz brand has been consistently high in quality for years. I recommend it highly. Everyone has a favorite and mine is Valspar which can be purchased at Lowe's. The colors are fantastic and the quality is outstanding. 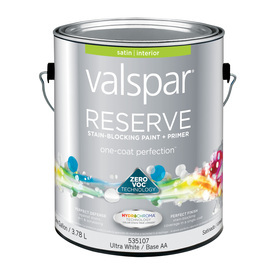 The newest in their paint lines is Valspar Reserve. It is slightly more expensive but it covers in one coat for lighter colors and two for darker colors without having to use a primer first. The extra cost is worth not having to prime or do more painting. Do not ruin your screwdriver by opening paint cans! 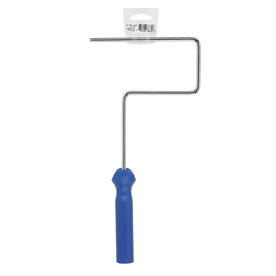 This little inexpensive key is the perfect tool for opening and reopening your paint cans with ease! Last but not least is a great attitude. Painting the walls in your home is a wonderful way to update any room. The ability to paint on your budget and in your time frame is worth its weight in gold. I have many more rooms in my house to paint. It is an open concept home with all the common areas having a touching wall. I have been waiting for the rains to stop and the warmer weather to appear to continue my paintfest! I already painted the right side the Ultra White and the difference is amazing! 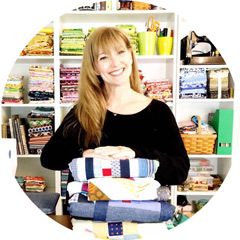 Having the right tools for any job is a necessity whether the job is sewing, yard work, cooking or painting. 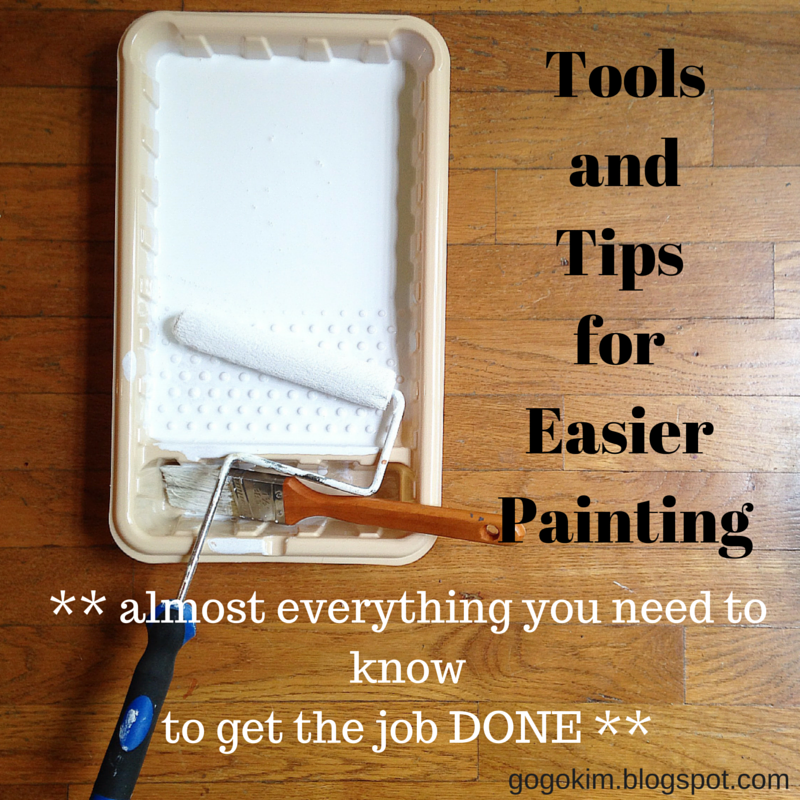 Knowing tools and tips for easier paining will help you make the job faster and easier! What are your favorite painting tips! I love to learn more to save time! Thanks for all the great tips. I am ready to get started! !